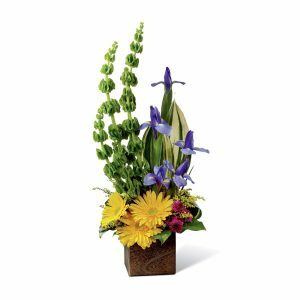 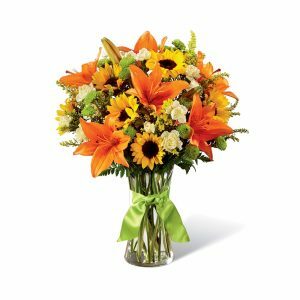 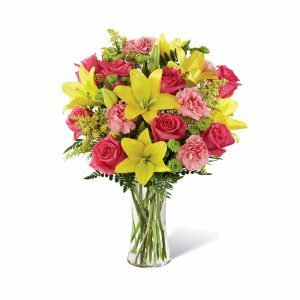 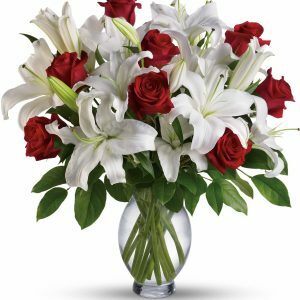 Beckoning with sunlit grace and beauty, this warm and uplifting bouquet is ready to offer cheer and flowering elegance to your recipient today. 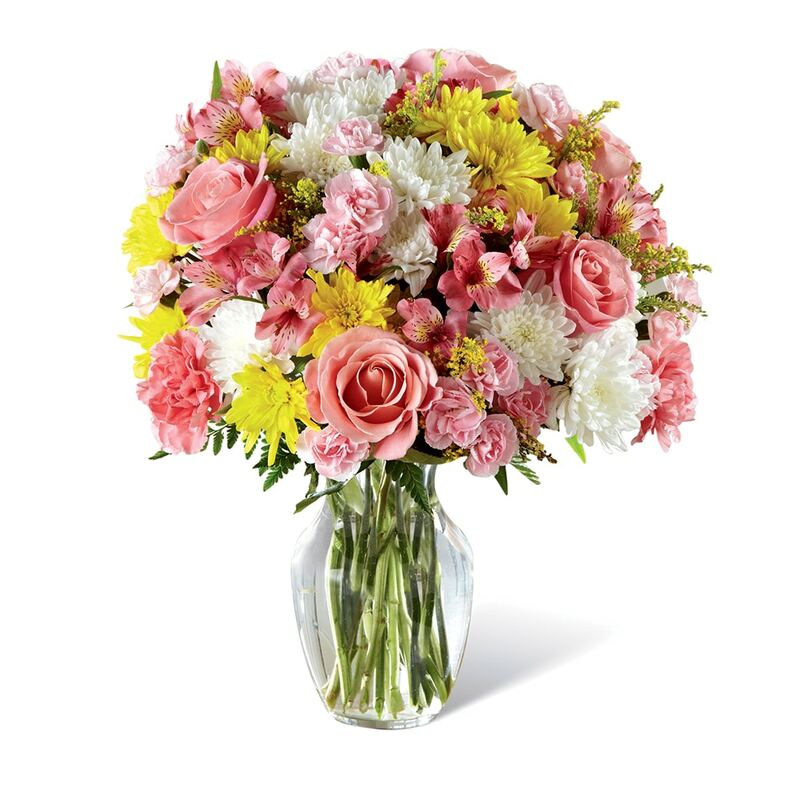 A collection of pink blooms, including Peruvian Lilies, carnations, mini carnations, and roses, are highlighted by yellow and white chrysanthemums, yellow solidago, and lush greens for a winning affect they will adore. 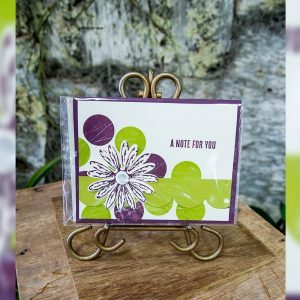 Presented in a classic clear glass vase, this lovely bouquet is set to create a wonderful birthday, thank you, or get well gift!